The Dig for Victory campaign has become one of the iconic battles of the second world war. Along with Dunkirk that rescued the British army from the German clutches, the Battle of Britain air war that prevented the invasion in September 1940 and D Day that was the beginning of the end for the Nazi Third Reich. The Dig for Victory campaign was as vital to the war effort and victory as any of those other battles. Unlike those battles, Dig for Victory was a battle that lasted the entire war. It could be argued that this battle lasted even beyond the end of the war. Britain may have been the victor but it was on its knees. Much of its infrastructure had been destroyed or allowed to wear out. For six years all the country’s efforts had gone towards one aim, victory. The country was bankrupt, so there just wasn’t the money to resume food imports at pre-war levels. Europe was devastated and Germany was in a worse state than Britain. Yet, as the victor, we had a responsibility to provide for the German people as well as our own. Rationing continued long after the war and only finally ended in 1954. Bread had not been rationed during the war but was rationed after. Bread rationing started for a period in 1946 following a poor harvest and the strictures mentioned above. Many felt things actually got worse on the home front for a while after the war was won. What did Dig for Victory do for us? 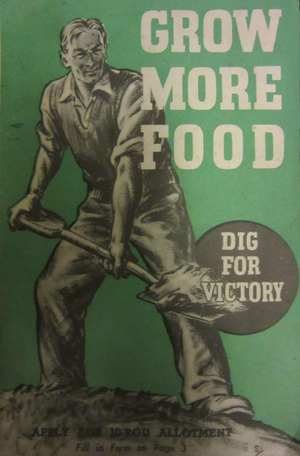 At its core, the Dig for Victory campaign helped keep the country fed, and fed well, whilst the war was fought. Without the additional food the campaign produced it is possible that the U Boat offensive that blockaded Britain from her food imports could have starved the British nation into submission. The success of Dig for Victory was greater than just providing much needed additional food. Dig for Victory freed up much needed space on shipping to carry the weapons, munitions and raw materials that were so vital to keeping the armed forces supplied. During WW2 the government instituted rationing to ensure fair shares of available food at affordable prices for all. The British public were used to relatively cheap food imported from the vast empire. Adapting to a limited diet, often including unfamiliar foods like dried eggs, Spam and Snoek, was no easy thing. The Ministry of Agriculture and Fisheries instituted a massive educational campaign using leaflets and guides along with numerous short films, helping people to Dig for Victory. The films were shown before the main feature in cinemas. Television was in its infancy at the start of the war and closed down until 1946, so not available. This was in case German bombers homed in on the signals. Not to be outdone by Dig for Victory, the Ministry of Food also ran a massive educational campaign. Their aim was to help the public make the most of their rations and to avoid waste. Don’t forget that many people found themselves with less meat and fats to eat in a week than they were used to eating in a day before the war. The result was that the public were, in general, healthier and better fed from a nutritional standpoint than they are today. 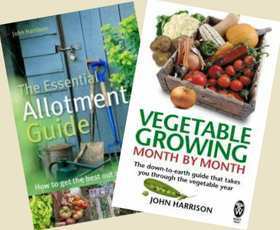 Along with the official government information, there was huge increase in popularity for gardening and cooking books and articles. 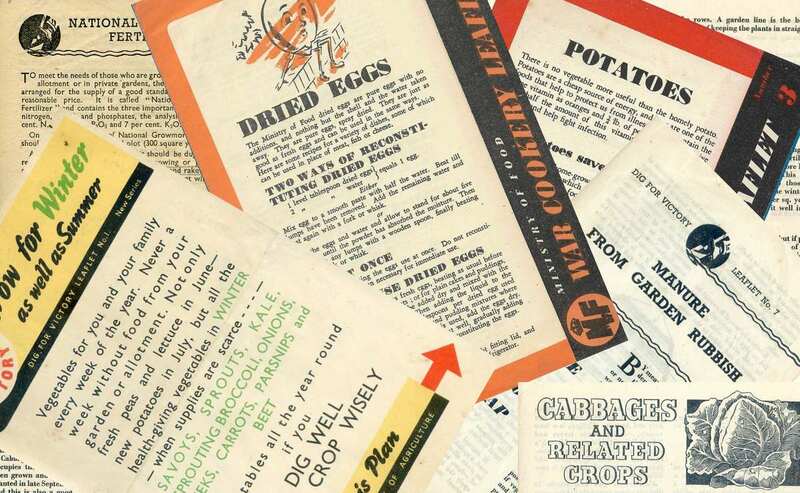 Newspapers would carry recipes and advice for those growing their own. 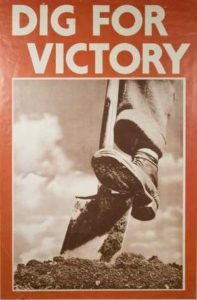 As we move into the 8th decade from WW2 the dig for victory campaign remains in the mind of the British public and is celebrated on allotments and garden vegetable plots across the land. This site is under development but we’re adding pages all the time. The aim is to provide the help that the campaign did, basic information, guidance and techniques for supplying a family with year-round fruit and vegetables along with frugal recipes to make best use of those crops and a meagre ration.